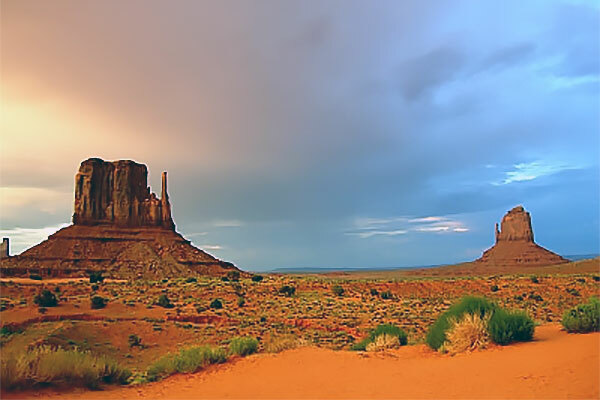 Here is a detailed listing of the Monument Valley, Grand Canyon, and Sedona Overnight 2-Day Tour. 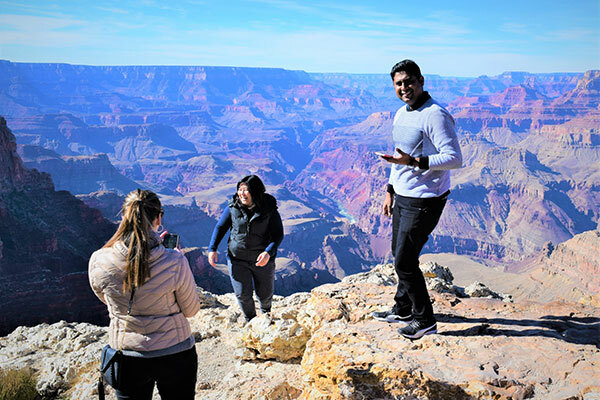 The 2-day Monument Valley, Grand Canyon, and Sedona Overnight tour includes admissions to listed attractions and hotel accommodations while on tour. Travel north with us through the Coconino National Forest and view the San Francisco Peaks and the Ponderosa Pine forests of Flagstaff, the largest forest of these majestic trees on the North American continent. Next, on to Monument Valley! 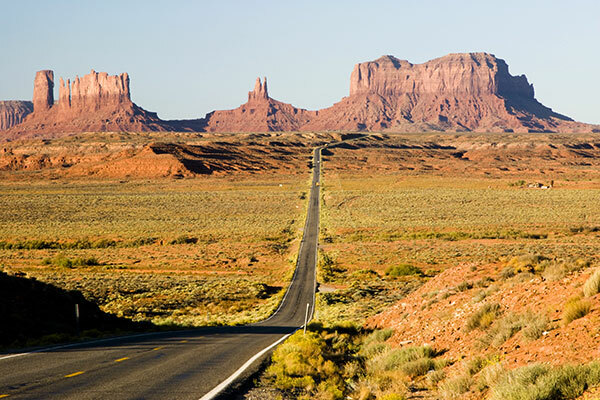 We'll arrive at the Monument Valley Visitors Center with some browsing time. Then, on to our incredible tour of Monument Valley, where we'll drive right in among the monoliths. This great valley boasts sandstone masterpieces that tower at heights of 400 to 1,000 feet, framed by scenic clouds casting shadows that graciously roam the desert floor. The angle of the sun accents these graceful formations, providing scenery that is simply spell-binding. We'll stay overnight in the area at one of the quaint local inns. For nearly a century the Cameron Trading Post has been a Grand Canyon lodging haven for travelers, traders, vacationers and explorers who come from all points of the globe. Just 30 minutes from the Grand Canyon National Park entrance, the Cameron Trading Post is more than an Indian lodge or Grand Canyon hotel. 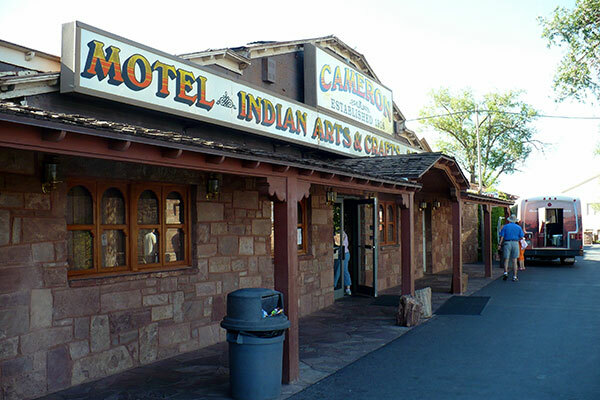 Established in 1916, the Cameron Indian Trading Post has become a showplace for fine Native American art and Southwest art. You will find thousands of unique items for purchase here. The Grand Canyon is more than a great chasm carved over millennia through the rocks of the Colorado Plateau. It is more than an awe-inspiring view. It is more than a pleasuring ground for those who explore the roads, hike the trails, or float the currents of the turbulent Colorado River. This canyon is a gift that transcends what we experience. Its beauty and size humble us. Its timelessness provokes a comparison to our short existence. In its vast spaces we may find solace from our hectic lives. The Grand Canyon we visit today is a gift from past generations. Strolling along the paths, you can walk right up to the rim of the Canyon for the most breathtaking views and pictures you'll ever take. 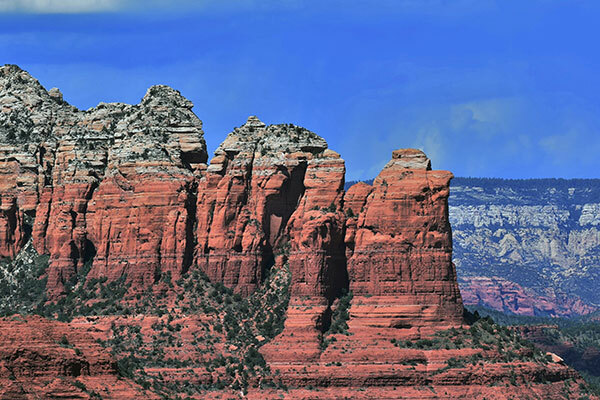 Sedona, and the immediate environs, is a special and unique place. With the awe-inspiring red rock formations plus the splendor and diversity of Oak Creek Canyon, it is considered a locality equal or superior to many national parks. Located in the high southwestern desert under the rim of the Colorado Plateau at an elevation of 4,500 feet, it is blessed with four mild seasons, plenty of sunshine and clean air. We'll take you right in among the incredible Red Rocks for a once-in-a-lifetime experience. Return approximately at 7:00 pm. Call today to book a Monument Valley, Grand Canyon, and Sedona two-day tour. You can reach Across Arizona Tours at (602) 233-1813 or toll free at (888) 533-1813. You can also email us for information.